Friends of Humanity was formed in response to the desperate need in northwest Haiti. Every day, we transform despair into hope and desolation into dignity. We are directly involved in bringing change to those most in need. Friends of Humanity is directly involved in this work and visits Haiti frequently to identify needs, provide personal oversight, and supply the priceless hugs no money can buy. We are there to make sure your contributions bring make a real difference. 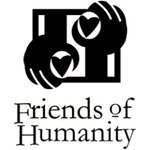 Friends of Humanity Corporation (FriendsofHumanity4Haiti.org) was formed in response to the desperate impoverishment of the people of northwest Haiti. We are a volunteer effort. All of your contributions go directly to the people you wish to help. Chartered as a nonprofit 501(c)(3) charitable organization in Miami, Florida, we are completely volunteer-based and utilize all resources to directly assist those in the greatest need. We provide financial and personal assistance to organizations that are already working in northwest Haiti and have demonstrated the ability to transform lives of poverty into lives of human dignity and hope. These include Beraca Medical Center, the only healthcare facility available to the poor, and House of Hope La Pointe, a refuge for disabled, chronically ill, and displaced children. We are not affiliated with any outside organization and welcome help from any who share our concern and compassion for the people of northwest Haiti. The aim of Friends of Humanity Corporation (a.k.a, FriendsofHumanity4Haiti.org) is to support the needy of the region of northwest Haiti. By providing ongoing clean running water, sanitation, education, food, clothing, and physical facility improvement, Friends of Humanity Corporation works to provide financial as well as physical support to hospitals and orphanages of the region. Our founding president, Renel Noel, was a resident of Port-de-Paix before coming to the U.S. and fulfilling the American dream. He utilizes the most direct chain of distribution possible for donations such as food, clothing and school supplies. These are collected in the U.S. by volunteers and shipped directly to Port-de-Paix, where they are collected by House of Hope staff with the help of other volunteers. Friends of Humanity volunteers pay their own travel expenses to Haiti. We buy our own food and ensure that we are not a burden on the communities we seek to help. Travel to Haiti can be rigorous, but we go frequently to provide oversight and encouragement, and to make sure our Haitian partners have the resources they need to achieve their goals. We can do a lot with very little money and so can they. There are many ways to volunteer with us. We can use any talent you may have. We are small but effective. We know the people we help by name and they know us. We share our humanity and the bonds of friendship. Friends of Humanity owes its beginning to the charitable assistance of Miami Shores Presbyterian Church and members who are natives of the region. The church invited the participation of other organizations, including Central Presbyterian Church of Miami, Presbyterian Disaster Assistance, Extreme Response International, and Change This World. The support of these organizations is very much appreciated.